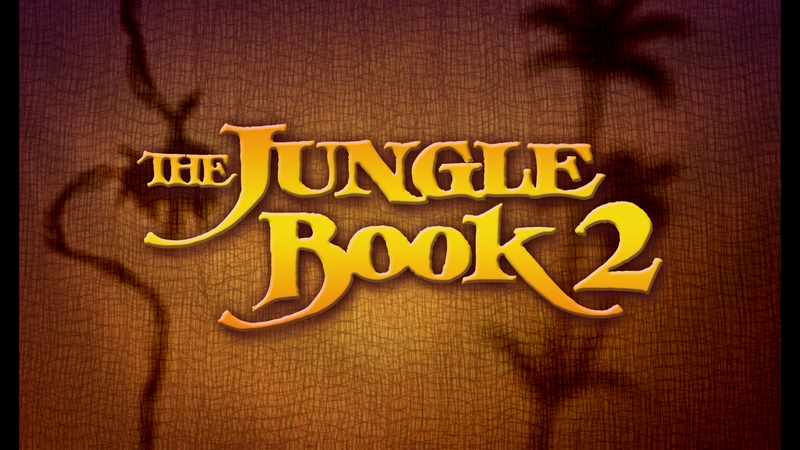 The Jungle Book 2 is yet another weaker additions in Disney’s arsenal of needless sequels and although this did get released theatrically, it was originally planned as a DTV release which this should have been relegated to along with all the rest. It’s not terrible and younger viewers might enjoy it as it’s a breezy flick that is only 65-minutes long (sans credits), but adults might not find much to enjoy. 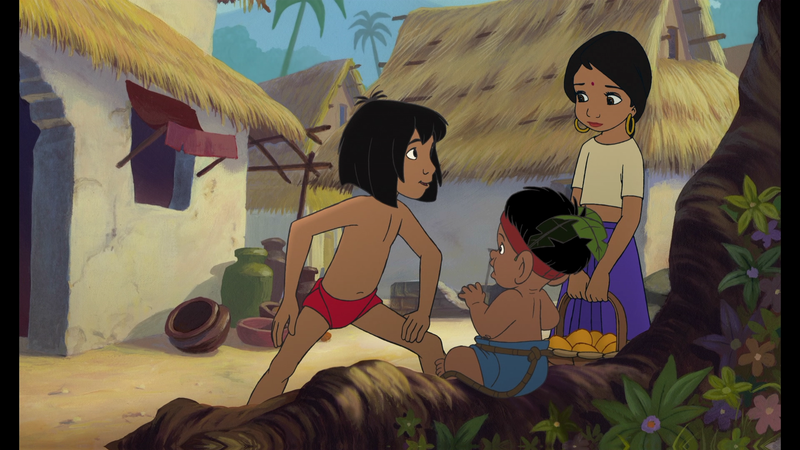 Plot Outline: Now that Mowgli’s (HALEY JOEL OSMENT) living in the “man-village,” he cherishes his new best friend and little brother, but he still has that jungle rhythm in his heart. 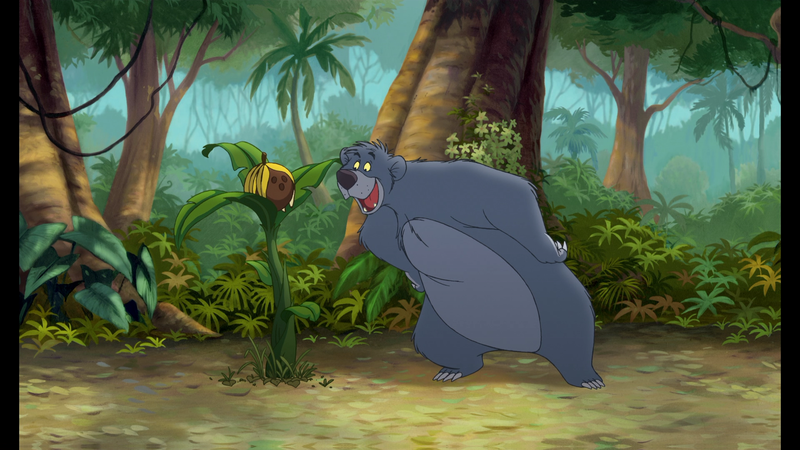 He misses hanging out with happy-go-lucky Baloo (JOHN GOODMAN) the bear and Bagheera (BOB JOLES) the panther. Yearning for freedom, Mowgli runs off into the jungle – and encounters his enemy Shere Kahn (TONY JAY). This time, he’ll need both his new human family and his old jungle friends to help save the day. This release comes with an embossed and glossy slip cover. Inside contains a standard DVD Copy and a slip with the “magic code” to access your Digital Copy. Synopsis of the Original Movie: The Jungle Book (2:59; SD) looks back at the first film for those at home who never saw it. Take a tip: watch it before seeing this half-baked sequel. The Legacy of The Jungle Book (14:11; SD) is about the history behind the original and its impact on the animation community and cinema including it being Walt Disney’s last vision feature. Deleted Scenes (9:24; SD) – There are two scenes (songs) that, for one reason or another, got cut. Neither are important but I suppose interesting to watch nevertheless. Also included is a Sing-Along for the movie and Music Videos for “W-I-L-D” and “Jungle Rhythm”. 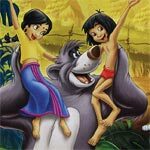 The Jungle Book 2 arrives on Blu-ray through Disney presented in its original 1.66 aspect ratio and has been given a new 1080p high-definition transfer. The picture looks good with bright colors and no noticeable flaws such as and including banding which often happens with animated features as transitions are quite smooth. For a film seemingly made for video, it’s a good transfer. The 5.1 DTS-HD Master Audio track meanwhile offers good dialogue levels making use of the center channel with the bulk of the front and rear channels are relegated for the soundtrack and music. It’s not exactly the most dynamic track and I’ve come across better in the genre and format, it’s still a solid and serviceable lossless track. 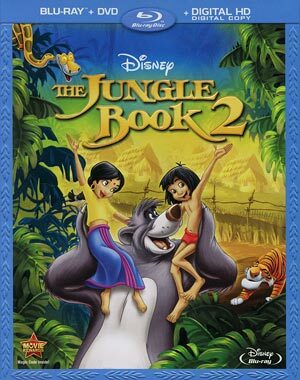 Overall, The Jungle Book 2 is yet another weaker additions in Disney’s arsenal of needless sequels and although this did get released theatrically, it was originally planned as a DTV release which this should have been relegated to along with all the rest. It’s not terrible and younger viewers might enjoy it as it’s a breezy flick that is only 65-minutes long (sans credits), but adults might not find much to enjoy. The Blu-ray release doesn’t boast much in terms of features but the audio and video transfers are both solid.